How does a commercial bank contribute to society? And how can it better align with a region’s development priorities? 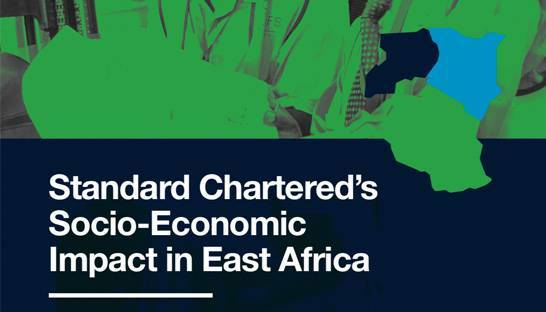 To answer these questions, Standard Chartered Bank asked us to measure its direct and indirect socio-economic impacts in East Africa, and recommend ways to further strengthen its contribution in the region. Our study shows that Standard Chartered supports $2.8 billion in value added and is linked to 1 million jobs in Kenya, Tanzania and Uganda. Moreover, the Bank plays a pivotal role in supporting East Africa’s development. Increasing (intra)regional commerce, improving manufacturing and realizing inclusive growth are fundamental to the region, and our study identifies opportunities for Standard Chartered to further boost these development priorities. Curious how we can help your organisation?